When you have a passion for DIY projects you can always find something new and cool to craft, some ingenious way to make your home even more welcoming, even more beautiful and more you. I have a soft spot for paper crafts but I have to admit that wood projects are becoming more and more enticing. A great thing about DIY home decor is that there’s an infinite number of ways to look at it and many different ways to be creative and original. That being said, let’s check out some awesome DIY wood projects and see what inspires us. Making a cutting board is one of the easiest things ever. You need a hardwood board, something to cut it with, sandpaper, a paint brush and some sort of food-safe finish. With these supplies you can make a beautiful wood cheese board or just a regular, everyday cutting board in no time. At one point when you become pretty confident in your woodworking skills you can start doing not just small accessories but also small home improvement projects. 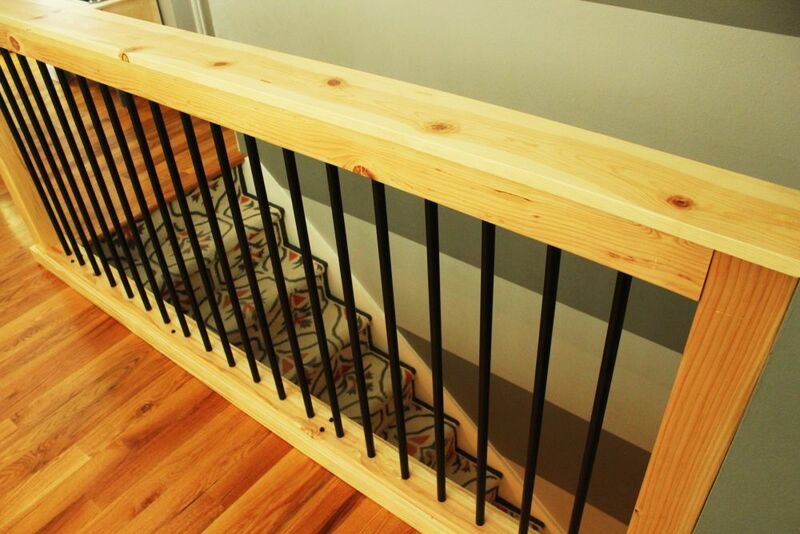 For example, you might need a new stair handrail. You can craft something simple and practical out of wood and pipes. It’s also entirely possible to be able to make your own furniture. 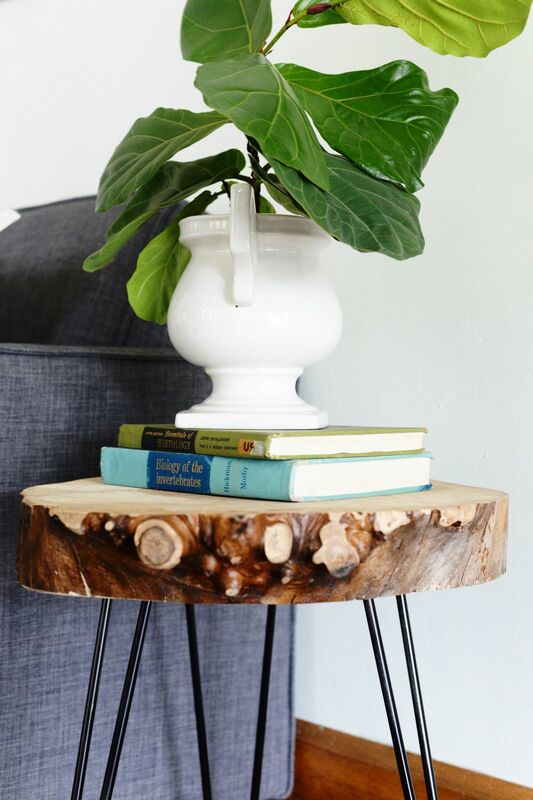 You could start with something simple like a wood slab side table. Just take a wood slice and three hairpin legs and secure them together. 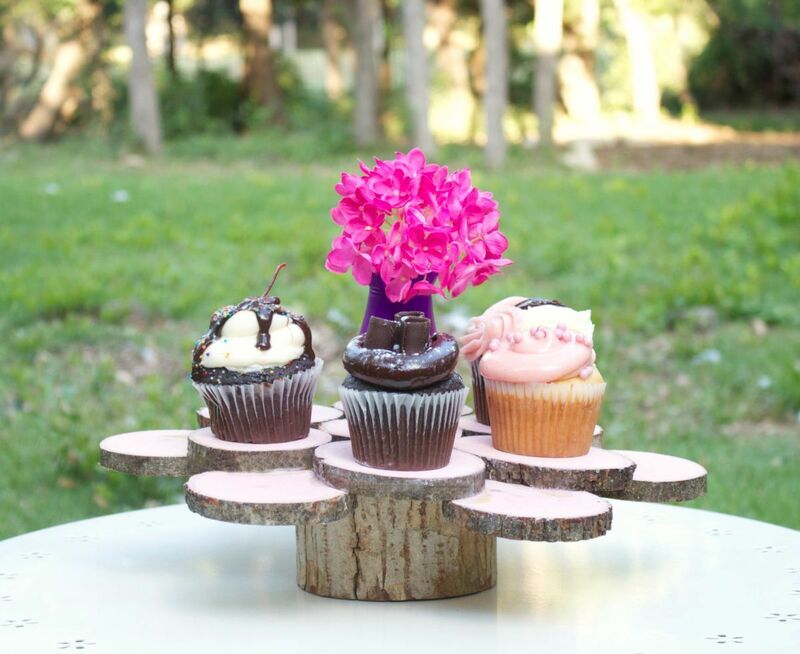 Small DIY wood projects like a rustic cake stand can change the look and ambiance in your home too. This could be your new centerpiece or you can offer thins to someone as a gift. Either way, it’s a lovely and also very easy project which we think you’ll enjoy. Furniture makeover can be super fun so imagine how awesome building a piece of furniture from scratch must be. 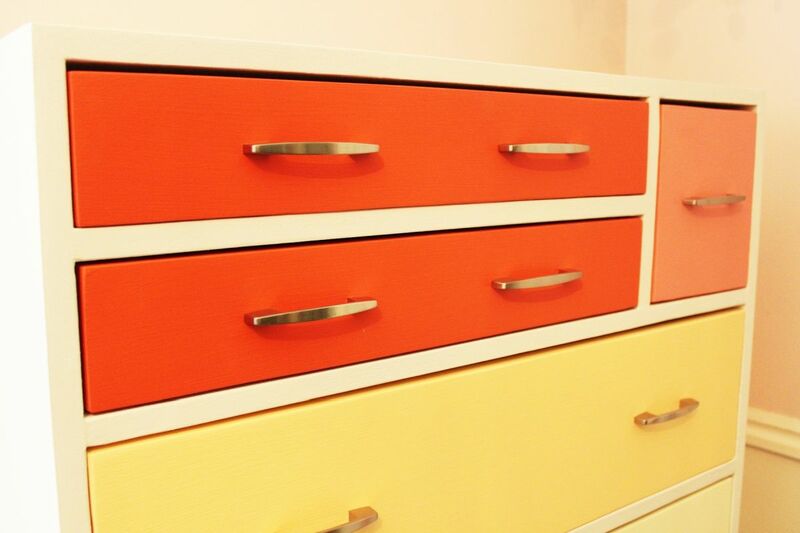 Perhaps you can find inspiration in this DIY rainbow wooden dresser. It definitely looks like a complex project but once you see all the details you’ll probably why you haven’t done this earlier. Not everything you do has to serve a practical purpose. 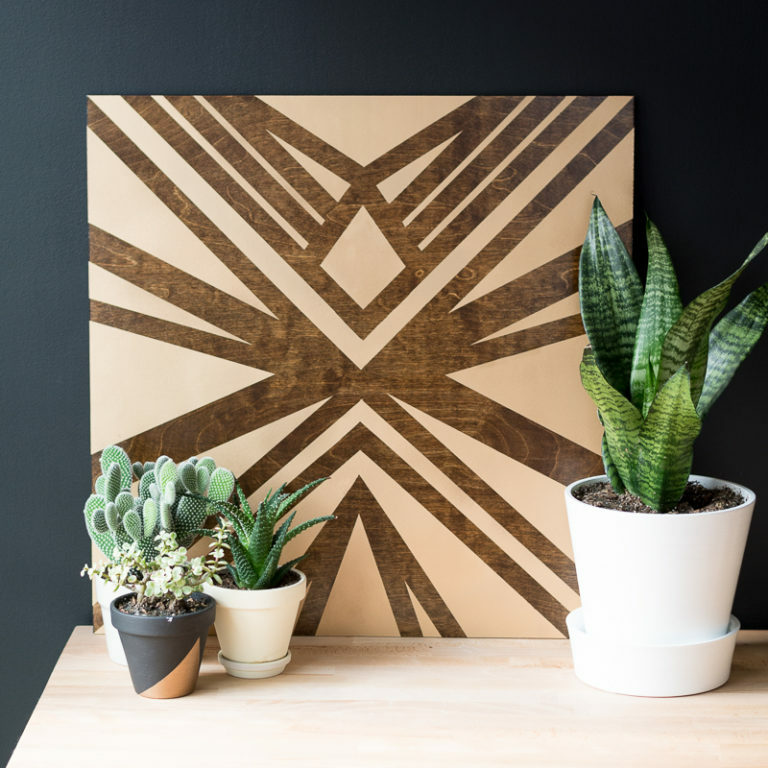 Some things are just nice to look at, like this DIY plywood art piece which can look gorgeous when you’ll display it in your own home, perhaps above the entryway console table or in your dining room. If you’re into DIY wood projects you probably have a nice pile of leftover wood pieces which you keep just in case you’ll need the supplies for future crafts. Maybe it’s about time you did something with some of those scraps. 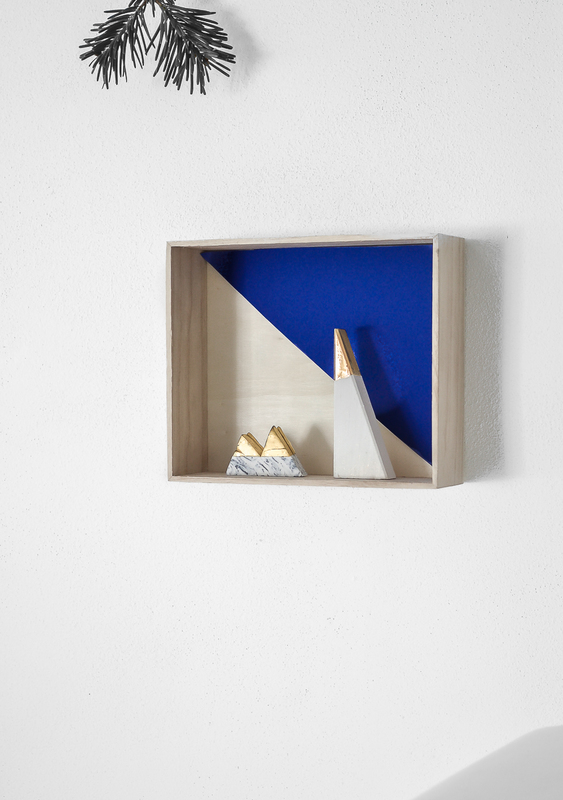 Perhaps this scrap wood modern mountain art project can inspire you. 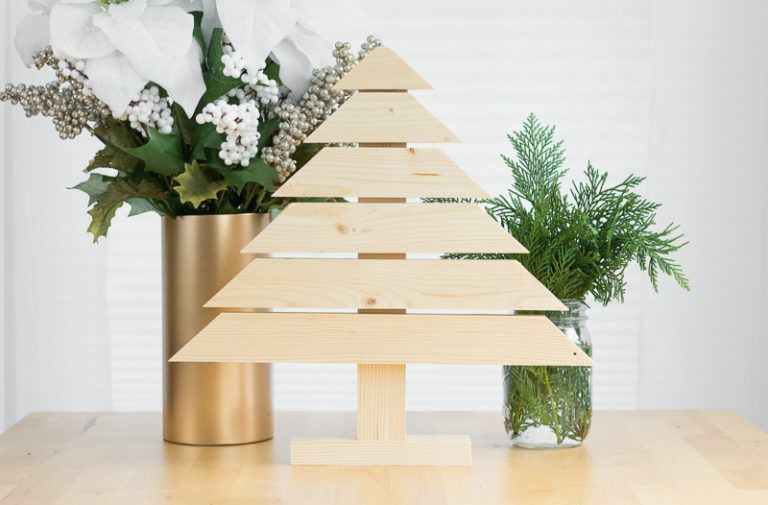 Since Christmas is on its way, we thought we’d squeeze in this little wood Christmas tree project which you can also make using leftover pieces. You don’t even to stain or paint the wood. The light, natural color gives it a chic and modern look. Serving trays are pretty nice because they’re not just practical but also decorative. 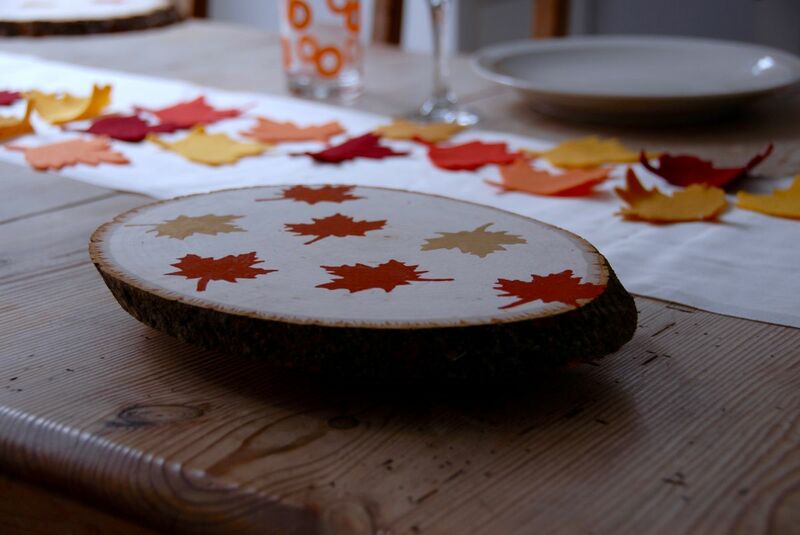 A wood slab serving tray like this one can complete the Thanksgiving table setup in a really beautiful way. It’s also a very simple DIY project which anyone can accomplish without any problems. 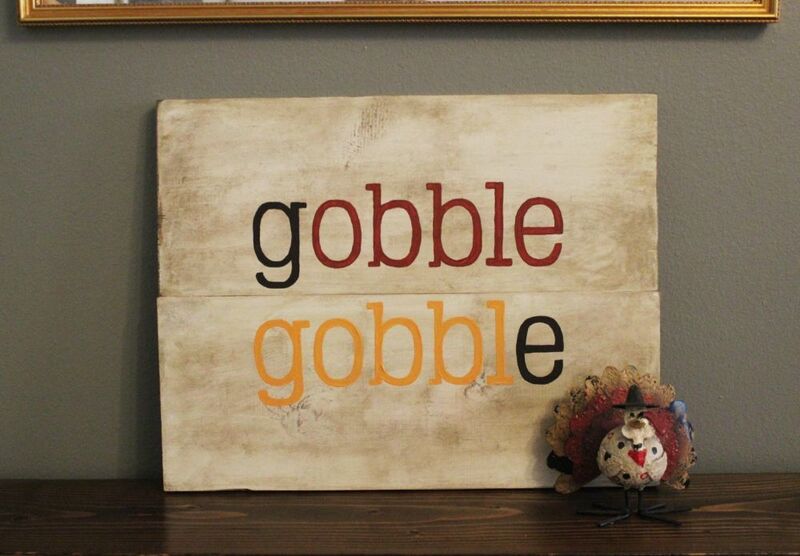 Speaking of Thanksgiving crafts, check out this cute Goggle Goggle wood sign. It’s another one of those original projects which you can do with leftover pieces and with very little effort. You need two wood boards, white paint, wood stain, transfer paper and a template, acrylic paint, a paintbrush, sandpaper, tape and a few screws. 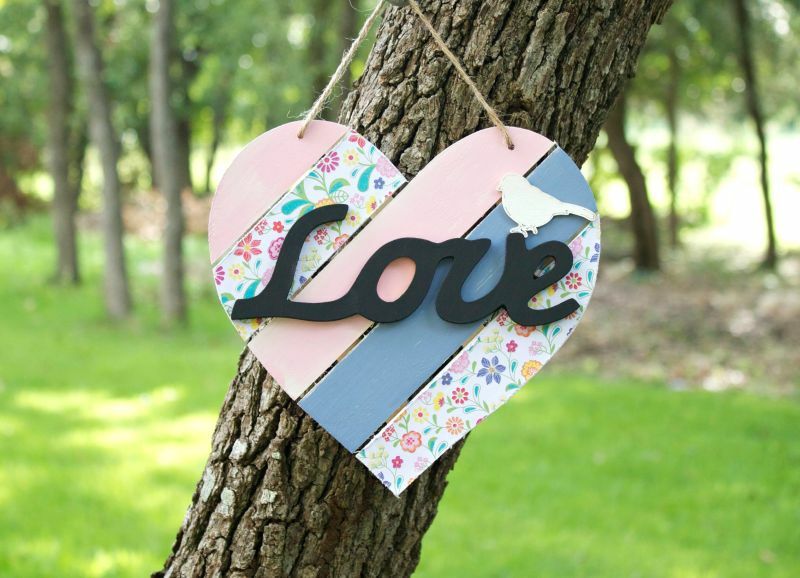 Love is in the air and this shabby chic wood heart sign perfectly captures the mood. If you like it, you can make your own sign, either from scratch or using an unfinished wood heart which you then decorate with colored paint and scrapbook paper. 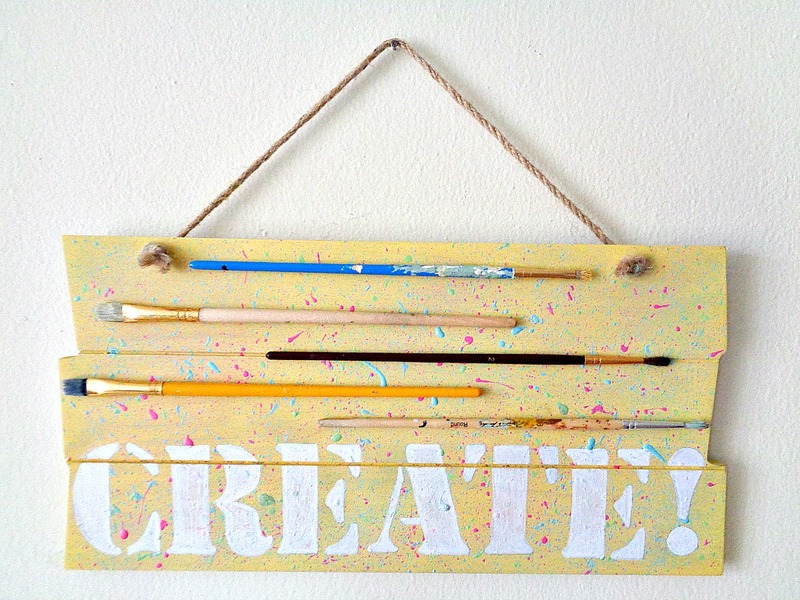 How about a cute sign to hang in your craft room? 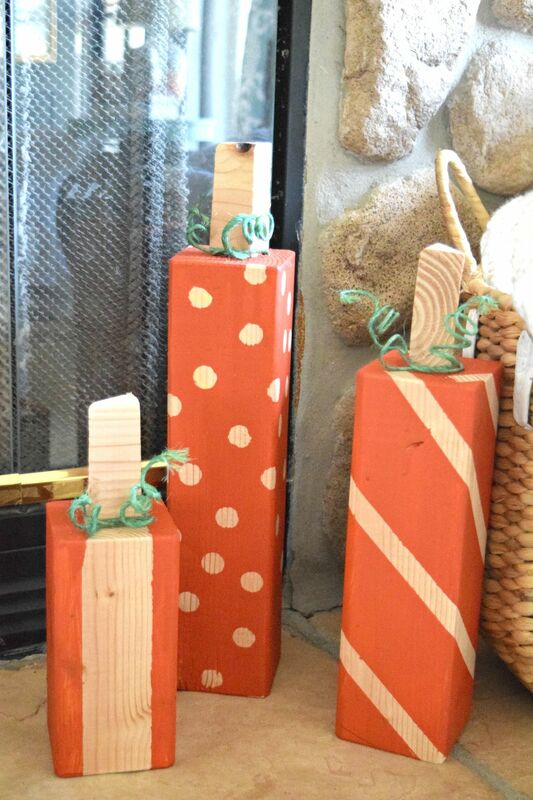 Perhaps you could repurpose some of your old paintbrushes and turn them into decorations. You can either use a pre-made sign or you can craft the sign from scratch. We prefer the second option because it’s more customizable. Feel free to make your wooden create sign as original as possible. Building a tray, as we may have mentioned before, is easy. You just need a piece of wood or plywood for the base and four thin pieces for the edges of the tray. 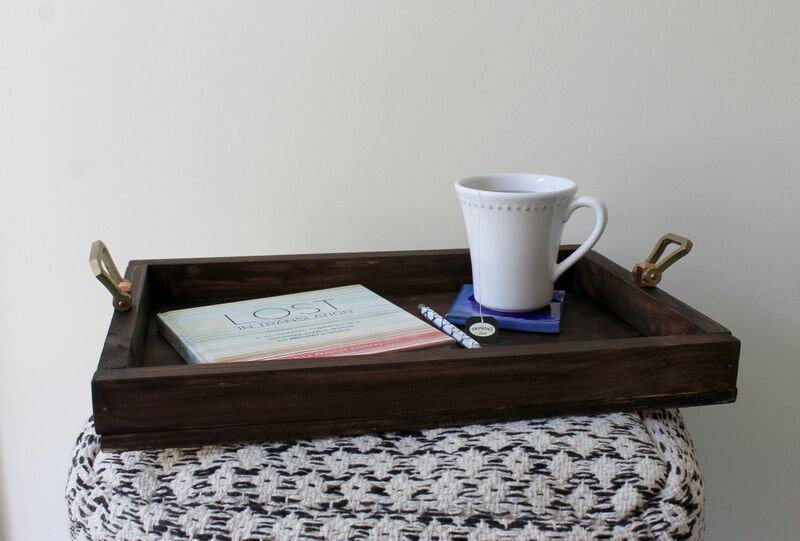 Add handles or knobs and stain or paint your wooden tray to give it a custom look. 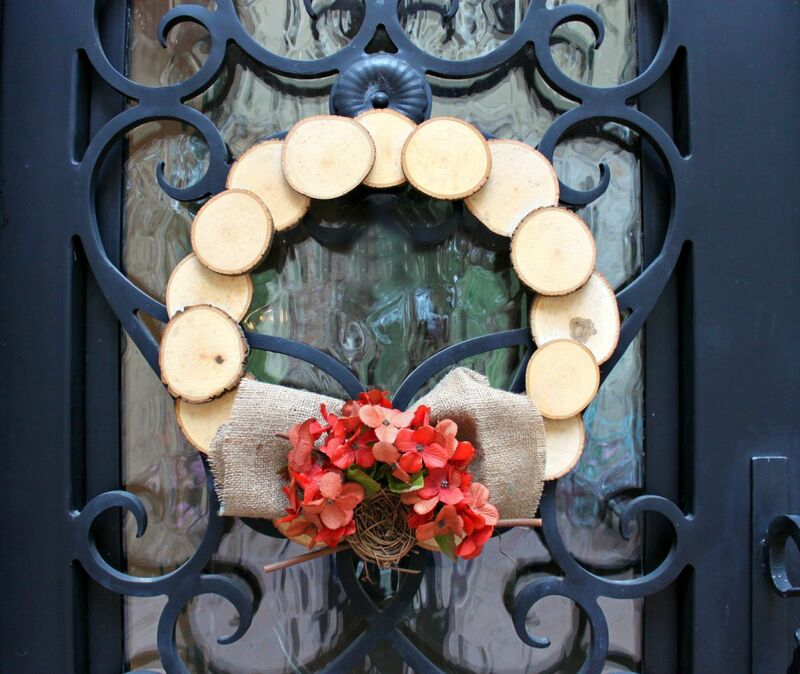 A wood slice wreath is a perfect DIY project for fall. What’s nice is that you can keep the design simple and it will still look charming and have a lot of character. Create the wreath form using round wood cuts with bark edges and wood glue. Decorate the wreath with burlap, fabric flowers and other ornaments. Tired of picking new pumpkins every autumn? Maybe you’d prefer to craft some out of wood so you can reuse them every year. These rustic wooden pumpkins are super easy to make and they offer a playful perspective on what autumn is all about. 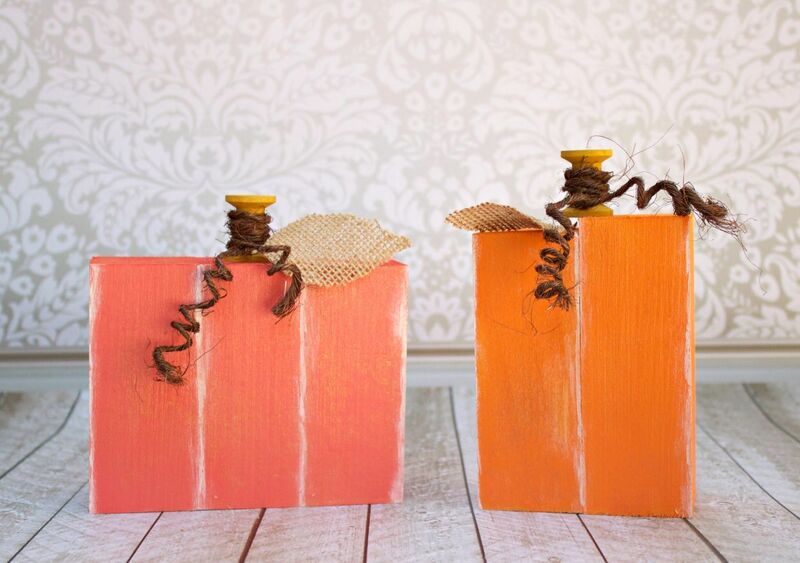 These DIY square pumpkins are pretty easy and fun to make too. You can even paint these pumpkins in all sorts of fun patterns. All you need is orange paint and some painter’s tape or stickers. Use green rope or pipe cleaners to make the leaves. Another cute thing you can make in the shape of a pumpkin is a basket. You can use it to store and display all sorts of things, including potted plants or herbs. Building a wood pumpkin basket it actually fairly easy, especially if you use an unfinished box or a planter as a base. Yes, we know wall clocks are pretty outdated but we still think they make nice decorations. 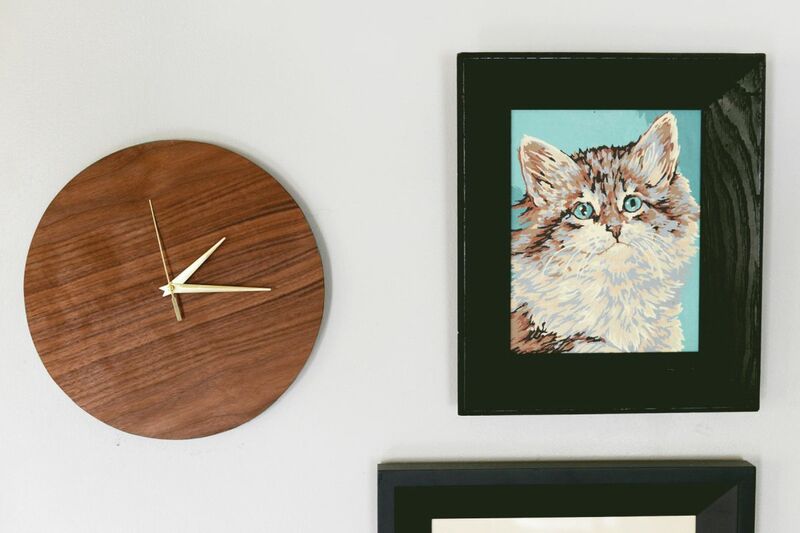 To make it more meaningful you could craft a modern wood wall clock yourself. 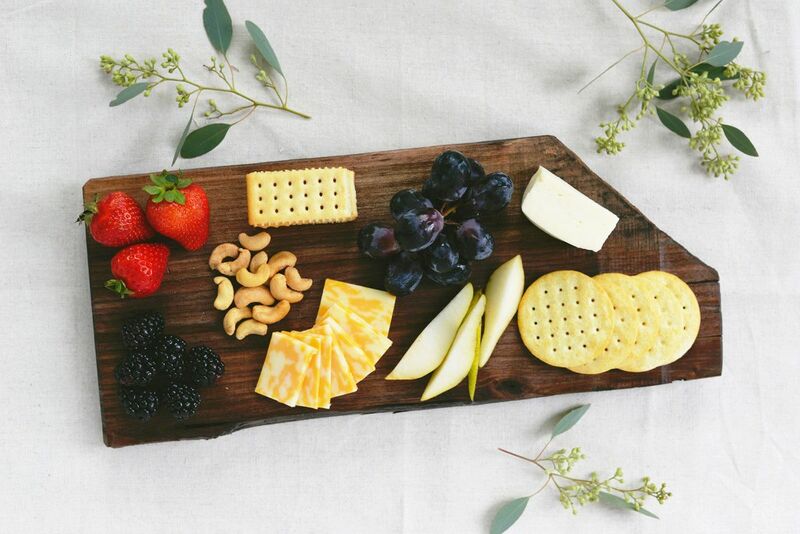 Start with a wood circle (perhaps you could repurpose a cutting board). Stain, paint or decorate it however you want and drill a hole at the center so you can add the clock mechanism. This would have to come from an actual clock, perhaps an old one which you no longer like. Even though magazine files are pretty cheap and easy to come by, they’re not necessarily as sturdy or as simple as you’d want them to be and if you’d craft them yourself out of plywood you’d actually save some money too. 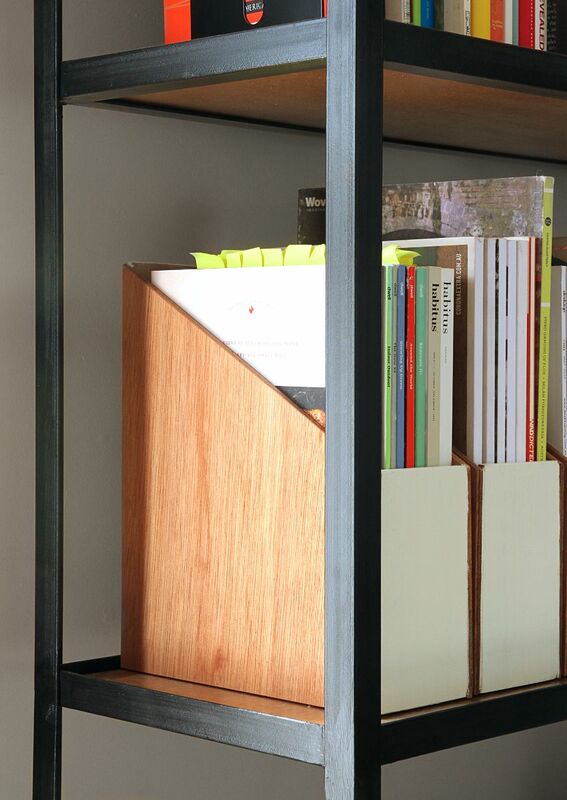 Make your own wooden magazine files in exactly the shape and size you want. From a single sheet of plywood you can make 18 files which is pretty cool. 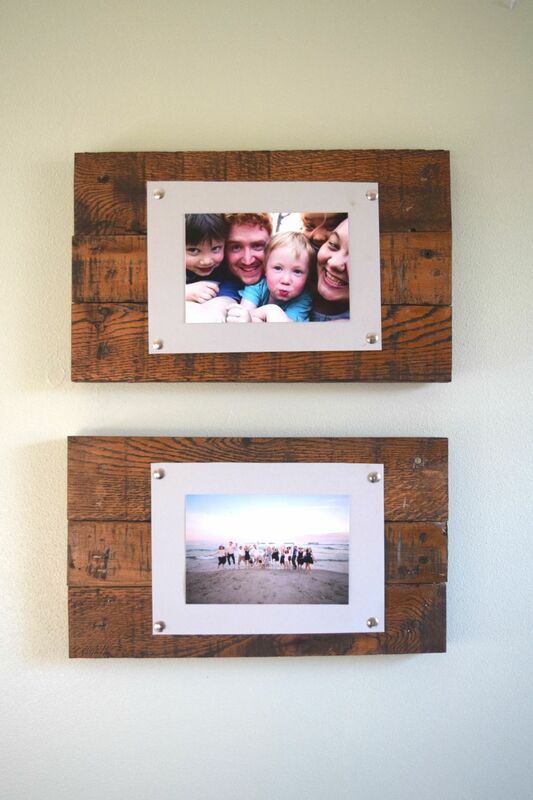 Display your favorite pictures on a wall and make your own frames from scratch. You could for example make some rustic scrap wood picture frames without spending any money (assuming you have some leftover supplies from previous projects). You can either keep things super simple and just display the picture onto the wood or add an extra layer of backing paper. Shelves are incredibly versatile and really great because you can add them to a space even after after you’ve pretty much completed the interior design or renovation. They’re great accessories and they’re also surprisingly easy to craft. It gets even easier if instead of building a wooden display shelf from scratch you choose to repurpose a crate or a box. 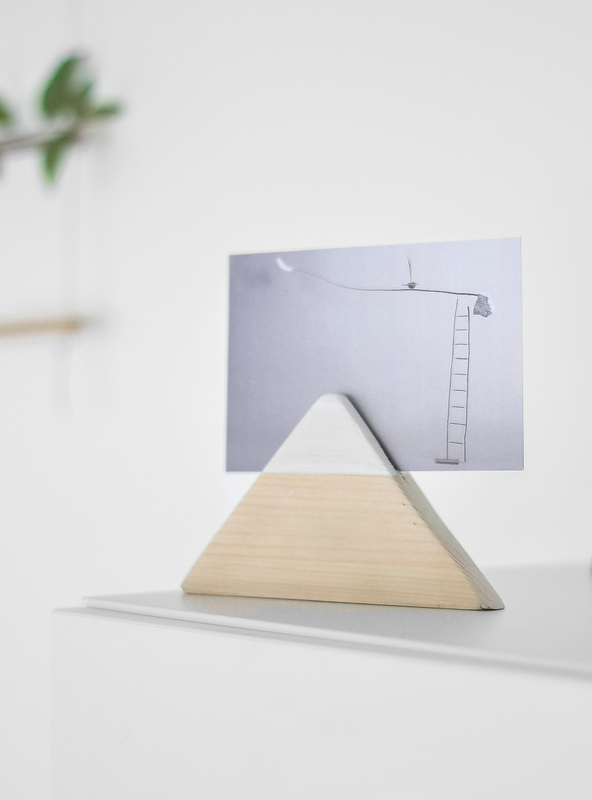 This wooden picture holder is a nice accessory for a desk or a shelf and to make it you only need a few simple things such as a wooden plank piece, a saw, some sandpaper, tape and a bit of paint. Obviously, you can personalize this accessory however you want so be creative. You don’t have to spend a ton of money on a fancy mirror, especially if you want something very simple. 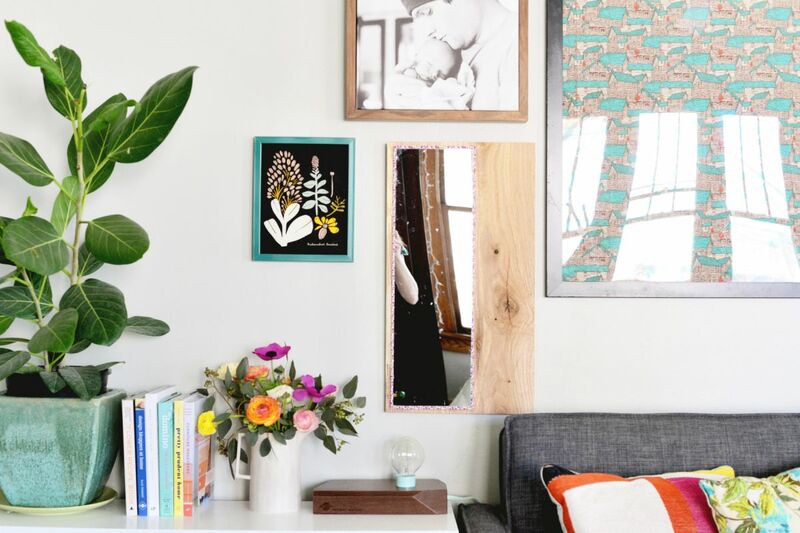 A much more affordable option would be a DIY wood framed mirror. Perhaps you already have a mirror in need of a makeover. You could glue it onto a shabby-chic frame made out of wood which you could put together yourself. 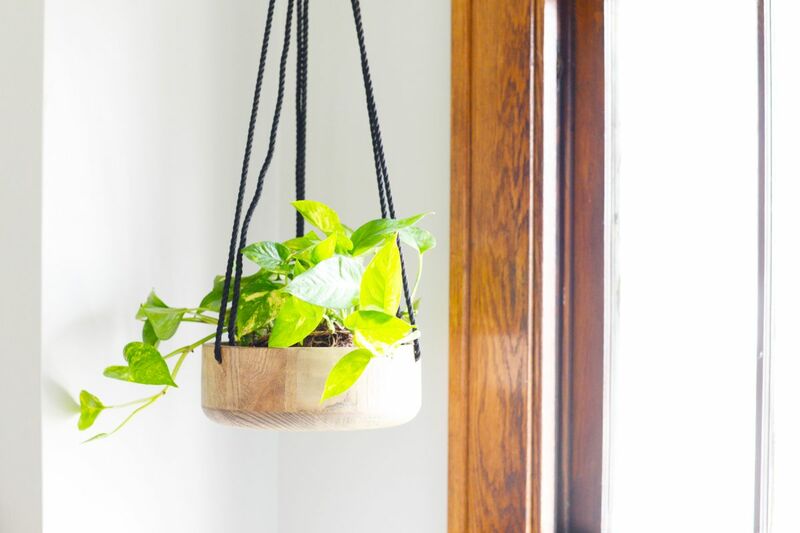 A wooden hanging planter like this one can solve a lot of problems. For example, you could hang it in the kitchen, in front of the window and you could grow fresh herbs in it. No counter space would be needed, no shelf, just a ceiling hook and some rope or cord. 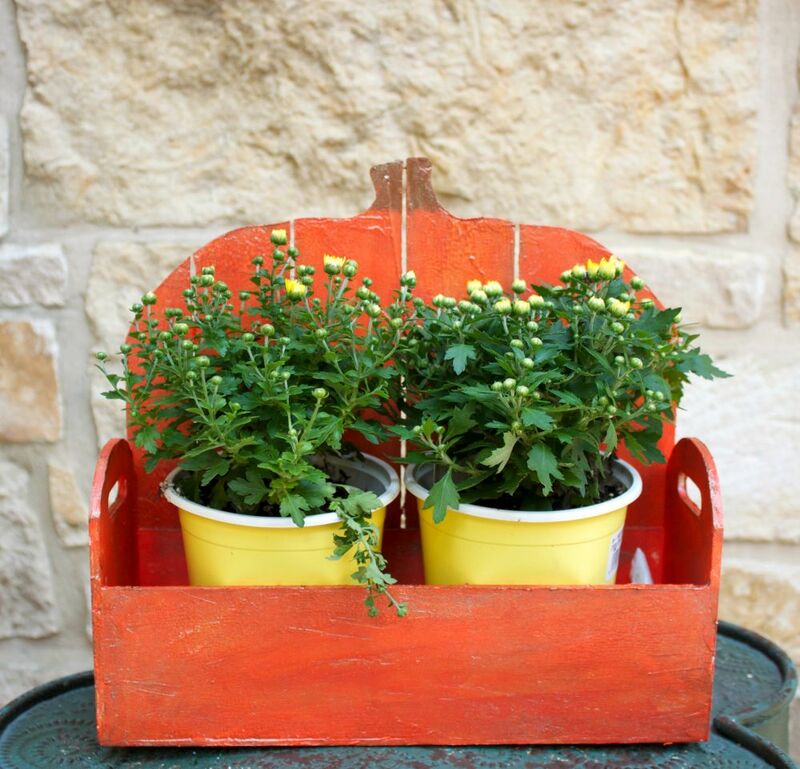 If you want a larger planter, you could build a custom one from scratch. Consider pallet wood. It’s practically free and super versatile. 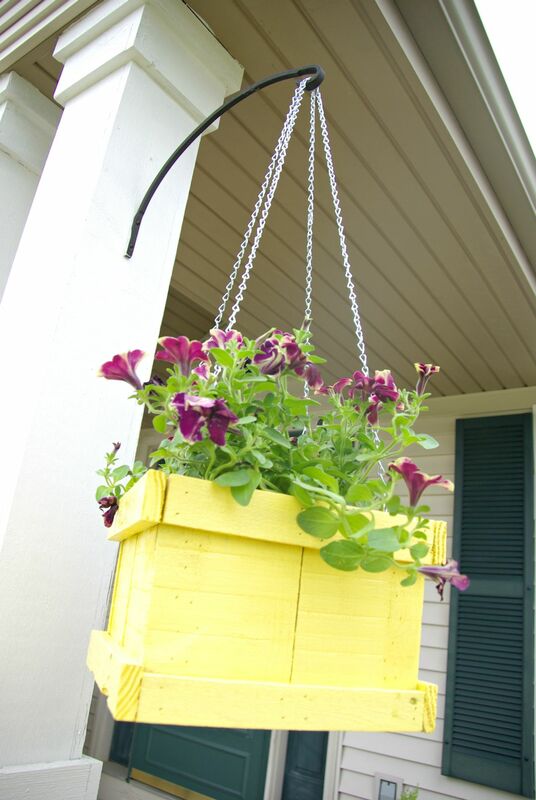 Use some to make a wood pallet hanging planter which you can display both indoor and outdoor. 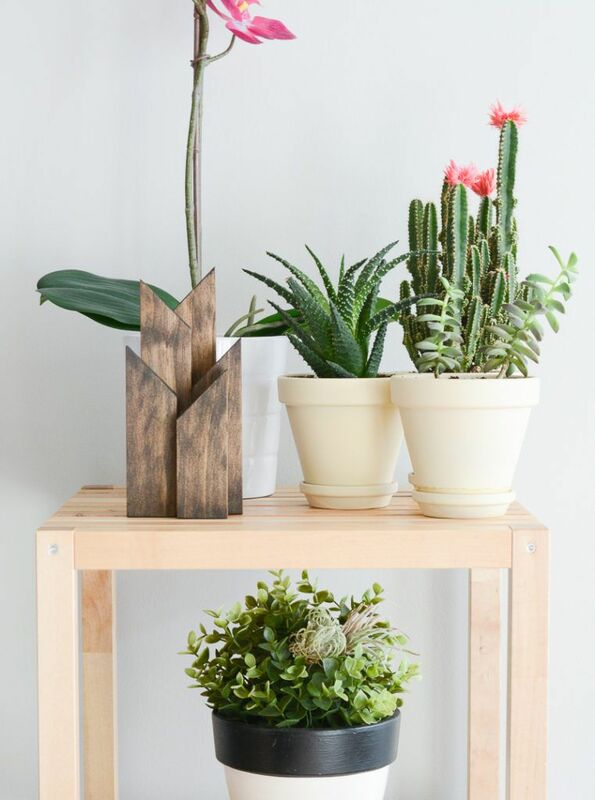 What about small planters, the kind you keep on your desk or table? Those can look super cute and you can make some for your tiny succulents or air plants. 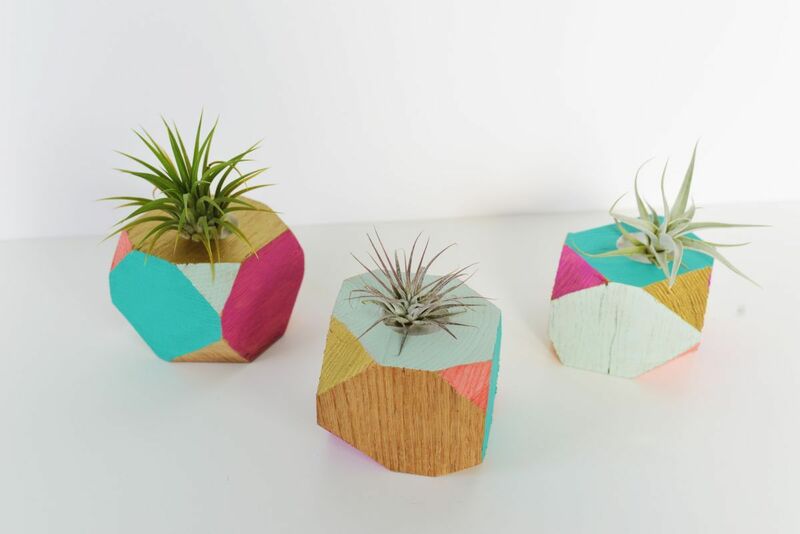 These colorful geometric planters are made out of wooden blocks. Use a drill to shape them and a drill to make holes for the plants. The acrylic paints are great for customization. 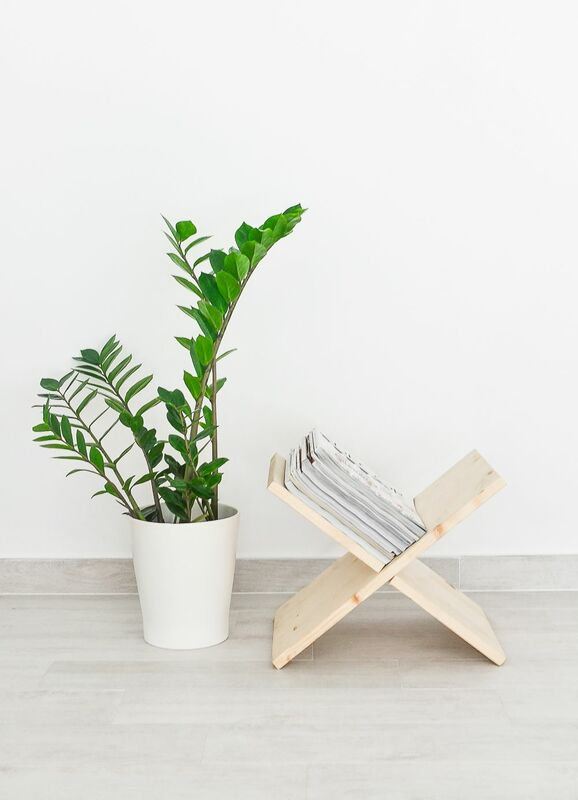 A wooden magazine holder can really bring a space together. You could build one for your cozy reading corner or you could add one to the living room, by the sofa. It’s easy to build and it looks pretty chic too. All you need for this project is two rectangular wooden planks of equal dimensions, a ruler and a wood saw. Some sandpaper might be needed too. A candelabra is a stylish and beautiful accessory and a lovely decoration. It’s not as versatile as votive candles but the differences actually make it stand out and look more refined. 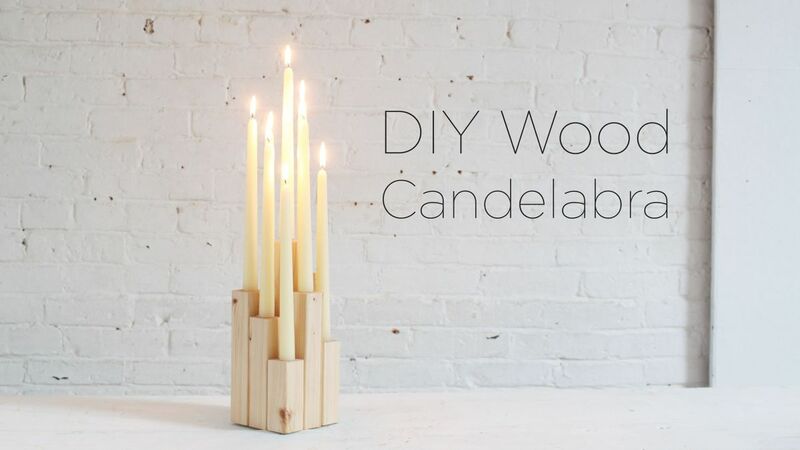 Even something very simple like a DIY wood candelabra can look awesome. This particular one is actually pretty easy to make too, which is a great plus. An entryway is not complete without a coat rack but why should it cost a small fortune when there are plenty of affordable options, including some great DIY project ideas. 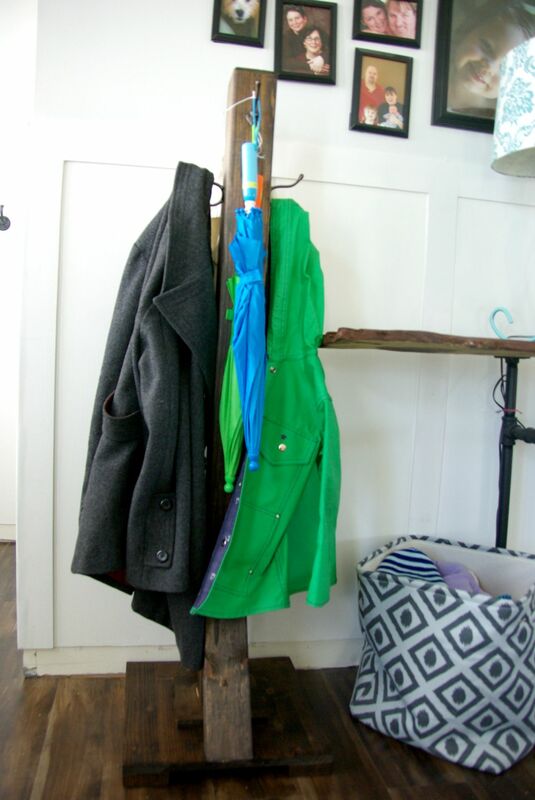 Speaking of which, check out how easy and fun it is to build this DIY wood coat rack. You only need four wood boards, glue and some hooks. Lamps are a bit trickier than a lot of other home accessories because they have to actually be functional, not just to look good. That can discourage a lot of people and we’re talking specifically about DIY lamps. However, if you keep things simple, there no reason why you shouldn’t be successful. 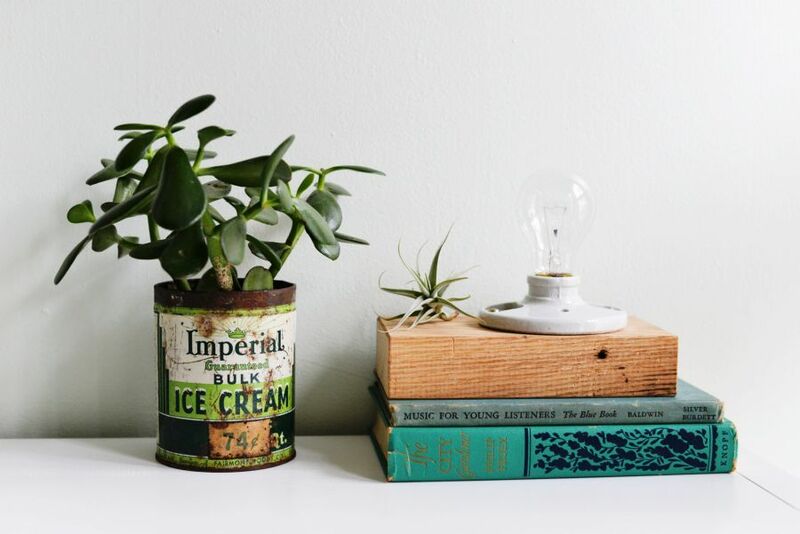 A great project to start with could be a wooden block desk lamp like this one. Building outdoor furniture is pretty fun and easy, mostly because the requirements are small in terms of looks. There are plenty of awesome woodworking projects which can inspire you in this sense. 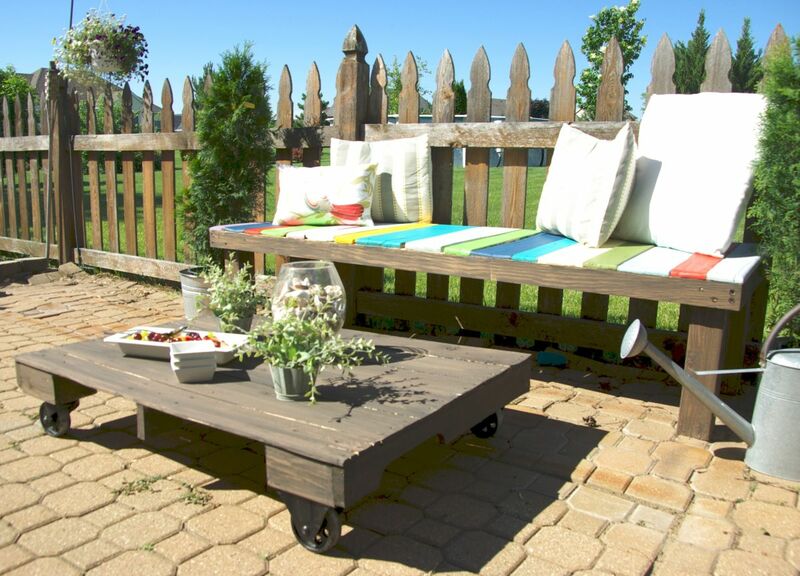 For example, a pallet coffee table on wheels could be an awesome addition to a patio or garden. 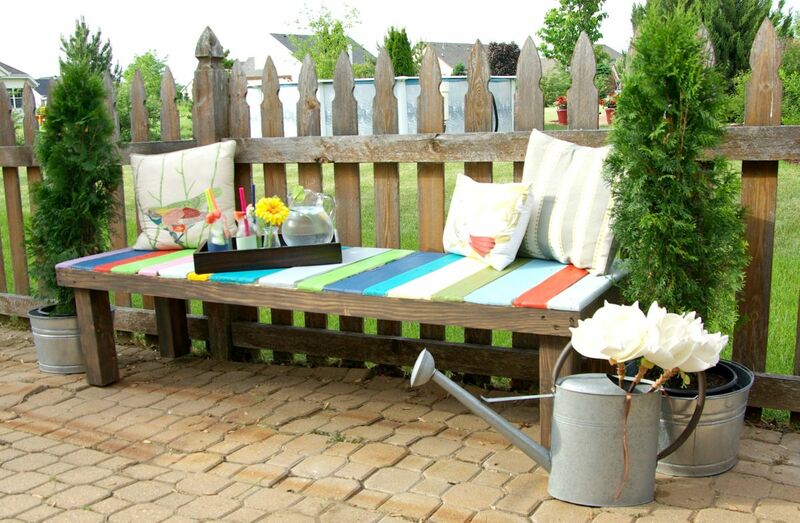 Complement that lovely handmade coffee table with a colorful pallet bench. It’s super easy to build and you can really make it pop by painting each board a different color. It’s a cute way to accessorize a garden or back yard and to turn it into a cozy entertainment area. Finding the right desk with the right dimensions and features can be pretty difficult but luckily you can skip the whole process and just build the desk yourself. 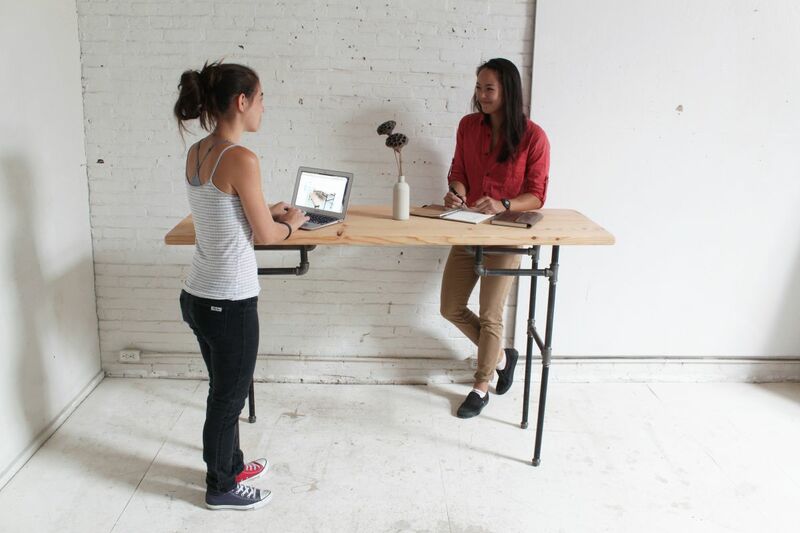 Here’s an idea: make a standing desk. You could make the frame out of pipes and the top out of wood. As you can see there are a lot of great DIY woodworking projects which you can attempt even as a beginner. 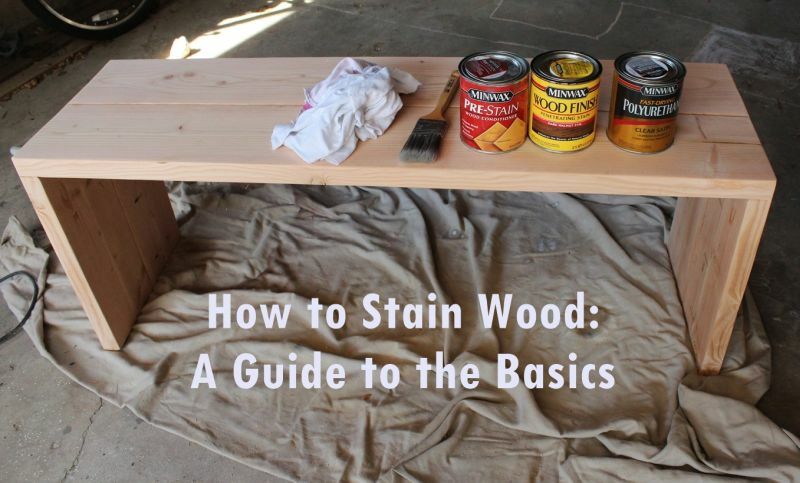 A lot of them involve wood stain and it’s important to know the basics in order to get good results so check out our tutorial on how to stain wood to find out a few helpful tips. Building your own awesome furniture and wood accessories is the first step. 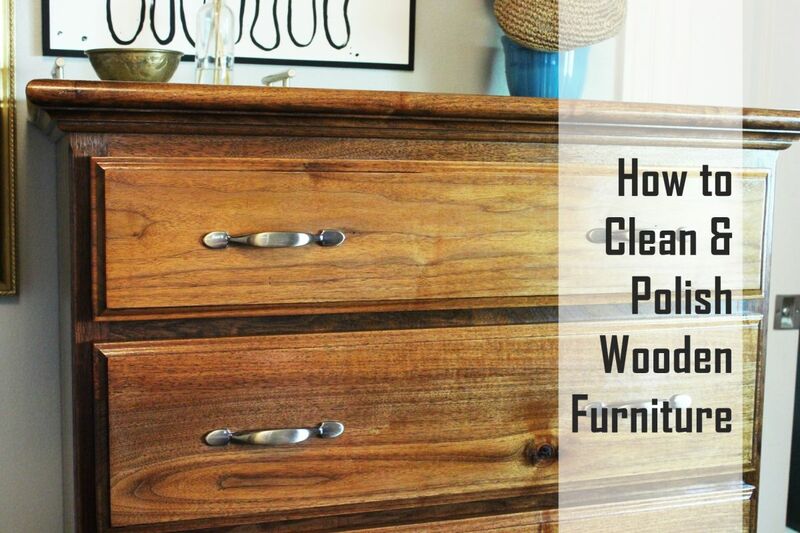 The second one is to make sure they last and look great for years to come and in order to do that you need to know how to clean and polish wood. It’s mostly just a matter of using the right products. Check out our tutorial for more details. The post 35 Awesome DIY Wood Projects For Absolute Beginners appeared first on Home Decorating Trends – Homedit.